আণ্ডাৰৱুড আৰু ৰ’ডৰ মতে এই ব্যৱস্থাই জ্বৰ,কাহ,ড্ৰপছী,ডায়েৰীয়া,সেইজুৰ,টিউমাৰৰ লগতে কুষ্ঠ আদি বিভিন্ন ছালৰ ৰোগ চিনাক্ত কৰিবলৈ সক্ষম হৈছিল। তদুপৰি আয়ুৰ্বেদে মধুমেহ, পাত্থৰ আদি কঠিন ৰোগ নিৰাময়ৰো উপায় উদ্ভাৱন কৰিছে।. অষ্টম শতিকাতেই চৰক আৰু সুশ্ৰুতৰ কৰ্মৰাজি আৰবী ভাষালৈ অনুদিত হয়।. ↑ Wells, John C. (2009). Longman Pronunciation Dictionary. প্ৰকাশক London: Pearson Longman. ↑ 4.0 4.1 Saper RB; Phillips RS et al. (2008). "Lead, mercury, and arsenic in US- and Indian-manufactured ayurvedic medicines sold via the internet". JAMA খণ্ড 300 (8): 915–923. doi:10.1001/jama.300.8.915. PMID 18728265. ↑ Ayyarudai, Shiva. "Your Body, Your System™". VAShiva.com. http://vashiva.com/your-body-your-system/। আহৰণ কৰা হৈছে: 19 February 2012. ↑ 11.0 11.1 11.2 Chopra 2003, পৃষ্ঠা 76, citing Sushrutasamhita 25.36. ↑ Sharma, A. K. (2003). "Panchkarma Therapy in Ayurvedic Medicine". In Mishra, Lakshmi Chandra. Scientific Basis for Ayurvedic Therapies. প্ৰকাশক Boca Raton, FL: CRC Press. পৃষ্ঠা. 43. ISBN 0-8493-1366-X. ↑ 17.0 17.1 <Please add first missing authors to populate metadata.> (2008). "Ayurveda". Encarta. প্ৰকাশক Redmond, WA: Microsoft. Archived from the original on 31 October 2009. http://www.webcitation.org/5kwKte2HR. ↑ Singh, P.B. ; Pravin S. Rana (2002). Banaras Region: A Spiritual and Cultural Guide. প্ৰকাশক Varanasi: Indica Books. পৃষ্ঠা. 31. ISBN 81-86569-24-3. ↑ 27.0 27.1 Paul I. Dargan, et al. (2008). "Heavy metal poisoning from Ayurvedic traditional medicines: an emerging problem?". Int. J. Environment and Health (Inderscience Enterprises Ltd.) খণ্ড 2 (3/4): 463–74. doi:10.1504/IJENVH.2008.020935. http://www.sactrc.org/IJEnvH203-415_Dargan%20et%20al.pdf। আহৰণ কৰা হৈছে: 2011-10-05. ↑ "Welcome to Central Council for Research in Ayurveda and Siddha ( India )". Ccras.nic.in. http://ccras.nic.in/। আহৰণ কৰা হৈছে: 21 June 2012. ↑ "Know Instances of Patenting on the UES of Medicinal Plants in India". PIB, Ministry of Environment and Forests. 6 May 2010. Archived from the original on 10 May 2010. http://pib.nic.in/release/release.asp?relid=61511। আহৰণ কৰা হৈছে: 22 May 2010. ↑ "Ministry of Indigenous Medicine". http://www.ayurveda.gov.lk/dept.html। আহৰণ কৰা হৈছে: 2 December 2012. ↑ "Institute of indigenous Medicine". Iim.cmb.ac.lk. http://iim.cmb.ac.lk/। আহৰণ কৰা হৈছে: 21 June 2012. ↑ ":: Indigenous-Medicine". Indigenousmedimini.gov.lk. 14 February 1980. http://www.indigenousmedimini.gov.lk/About_us.html। আহৰণ কৰা হৈছে: 21 June 2012. ↑ Park, J.; Ernst, E. (2005). "Ayurvedic Medicine for Rheumatoid Arthritis: A Systematic Review". Seminars in Arthritis and Rheumatism খণ্ড 34 (5): 705–713. doi:10.1016/j.semarthrit.2004.11.005. PMID 15846585. ↑ Tildesley, N. T.; Kennedy, D. O.; Perry, E. K. et al. (2003). "Salvia lavandulaefolia (Spanish Sage) Enhances Memory in Healthy Young Volunteers". Pharmacology Biochemistry and Behavior খণ্ড 75 (3): 669–674. doi:10.1016/S0091-3057(03)00122-9. PMID 12895685. ↑ Akhondzadeh, S.; Noroozian, M.; Mohammadi, M.; Ohadinia, S.; Jamshidi, A. H.; Khani M. (2003). "Salvia officinalis Extract in the Treatment of Patients with Mild to Moderate Alzheimer's Disease: A Double Blind, Randomized and Placebo-controlled Trial". Journal of Clinical Pharmacy and Therapeutics খণ্ড 28 (1): 53–59. doi:10.1046/j.1365-2710.2003.00463.x. PMID 12605619. ↑ Govindarajan, R.; Vijayakumar, M.; Pushpangadan, P. (2005). "Antioxidant Approach to Disease Management and the Role of 'Rasayana' Herbs of Ayurveda". Journal of Ethnopharmacology খণ্ড 99 (2): 165–178. doi:10.1016/j.jep.2005.02.035. PMID 15894123. ↑ Subapriya, R.; Nagini, S. (2005). "Medicinal Properties of Neem Leaves: A Review". Curr Med Chem Anticancer Agents খণ্ড 5 (2): 149–6. doi:10.2174/1568011053174828. PMID 15777222. ↑ "Neem". Tamilnadu.com. 06 December 2012. http://tamilnadu.com/herbs/neem.html. ↑ Mahady, GB; Pendland, SL; Yun, G; Lu, ZZ (2002). "Turmeric (Curcuma longa) and curcumin inhibit the growth of Helicobacter pylori, a group 1 carcinogen". Anticancer Res. খণ্ড 22 (6C): 4179-4181. PMID 12553052. ↑ Urmila T; Supriya B (2008). "Pharmacovigilance of ayurvedic medicines in India". Indian Journal of Pharmacology খণ্ড 40 (S1): 10–12. http://www.bioline.org.br/request?ph08015. ↑ Saper, R. B.; Kales SN; Paquin, J et al. (2004). "Heavy metal content of ayurveda herbal medicine products". Journal of the American Medical Association খণ্ড 292 (23): 2868–2673. doi:10.1001/jama.292.23.2868. PMID 15598918. ↑ Ellin, Abby (17 September 2008). "Skin deep: ancient, but how safe?". New York Times. Archived from the original on 18 September 2008. http://www.nytimes.com/2008/09/18/fashion/18skin.html। আহৰণ কৰা হৈছে: 19 September 2008. "A report in the August 27  issue of The Journal of the American Medical Association found that nearly 21 percent of 193 ayurvedic herbal supplements bought online, produced in both India and the United States, contained lead, mercury or arsenic." ↑ Saper RB; Phillips RS; Sehgal A (August 2008). 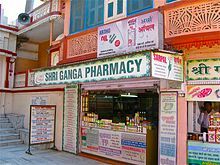 "Lead, mercury, and arsenic in US- and Indian-manufactured ayurvedic medicines sold via the internet". JAMA খণ্ড 300 (8): 915–923. doi:10.1001/jama.300.8.915. PMID 18728265. Chopra, Ananda S. (2003). "Āyurveda". In Selin, Helaine. Medicine Across Cultures: History and Practice of Medicine in Non-Western Cultures. প্ৰকাশক Norwell, MA: Kluwer Academic Publishers. পৃষ্ঠা. 75–83. ISBN 1-4020-1166-0. http://books.google.com/books?id=of-gv8-pPcsC&pg=PA75. Finger, Stanley (2001). Origins of Neuroscience: A History of Explorations into Brain Function. প্ৰকাশক Oxford, England/New York, NY: Oxford University Press. ISBN 0-19-514694-8. Kutumbian, P. (1999). Ancient Indian Medicine. প্ৰকাশক Andhra Pradesh, India: Orient Longman. ISBN 978-81-250-1521-5. Underwood, E. Ashworth; Rhodes, P. (2008). "Medicine, History of". Encyclopædia Britannica (2008 সম্পাদনা).